Breaking news – healthcare advertising changing for the better. You don’t often see the topic of healthcare marketing covered by the popular media, so this Orlando Sentinel article about hospital advertising caught my attention. Basically, the premise of the piece is that smarter consumers (thanks to the Internet) aren’t buying doctors in white lab coats – they’re looking for the right information to support consideration, selection and use of healthcare services. I trust that’s not a surprise to most marketers. What I do hope is that we’ll stop seeing the stereotypical images of three doctors in white lab coats pasted on billboards and other advertising vehicles, and start applying smart thinking to the art and science of brand building. This past year was one of great loss and sorrow for our family. Tragedy came in waves, one after another bringing debilitating illness, death, separation and passing of our dreams. The future we imagined and looked forward to disappeared with a cosmic roll of the dice. Each new event set us back on our journey through grief’s messy and painful terrain. There were days when it was almost too much to bear, and I had to remember to just keep breathing. The story of Easter reminds us that without suffering there is no salvation. Without death, no resurrection. We witness the cycle of life all around us. The first green seedling that breaks through charred ground after a devastating wildfire. The crocus that blooms through snow. The crisp, blue sky after a hurricane’s fury. The burial of a loved one, and conception of a new life. In my work, I frequently advise clients that they have to let go of what is to make room for what can be. These are difficult conversations, sorting through and determining what needs to be released, divested, allowed to die. In medicine, we are driven to fix things, to restore health, to save lives. Death is defeat. 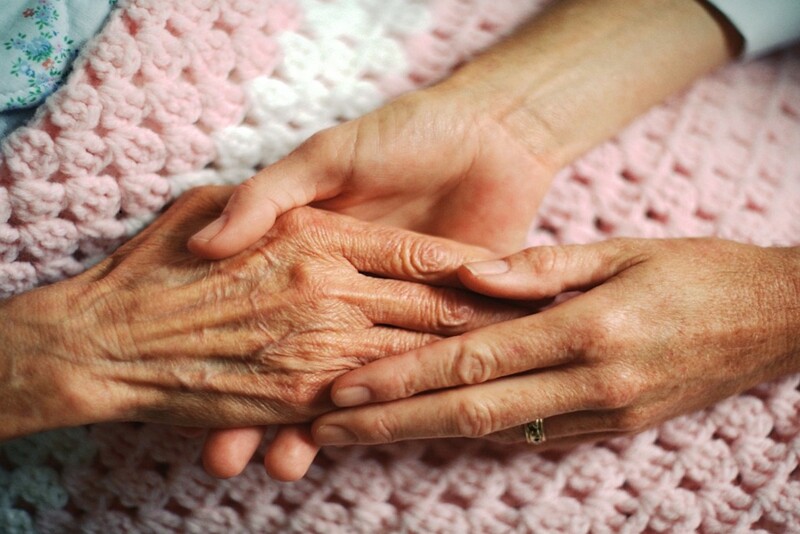 What we practice at the bedside carries over into our vocation, into our ego. And so we resist it. Shock and disbelief give way to anger. In the heated squabbles I tried to have with God, he refused to engage. I wanted explanations. God just sent love. I wanted our old life back. God’s grace arrived on a rainbow. In a dark hour, I surrendered. There were no answers, only experiences. Only love. Acceptance is bitter medicine. Without it, there can be no healing. Death, in all its forms – loss of youth, loss of health, loss of life, loss of spouse, loss of self – is a messenger of resurrection, and can lead to a new covenant between oneself and the universe. Rebirth is simply letting go of what was once important to make way for new blessings. But, there are few things more terrifying than trading the safety of what we know for the possibilities of the unknown. An open heart is all it takes. Through it, we emerge from the darkness. We radiate love. We receive miracles. We witness the sacred in everyday occurrences. And we begin again. Today, I know that my blessings are more bountiful than my sorrows. I have a loving and wonderful family. Friends, colleagues and clients that enrich my life in ways too plentiful to count. And even though our family is still traversing the harrowing twists and turns through a dark and seemingly haunted forest, we are bound by love in our journey. There is no turning back. Our treasures are here in this moment and with every step we take forward. Thank you dear readers for letting me tell this difficult story. 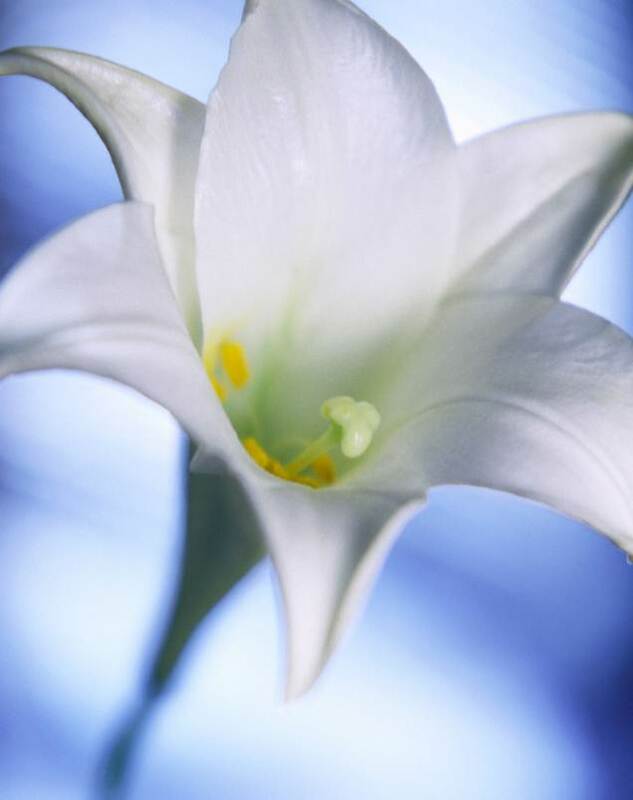 Whatever your faith, I wish you the miracle of rebirth on this Easter morning. The Healthcare Marketer’s Declaration? Not All Projects Demand Equal Attention. 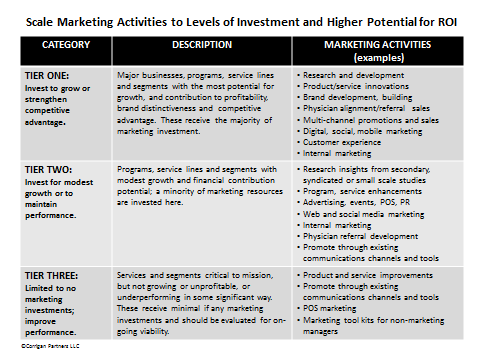 Part 3 of Prioritizing Marketing Resources Key to Return on Investment Goals. Part two of this series (The Healthcare Marketer’s Dilemma? Too Many Projects. Too Few Resources. posted November 29, 2011) described the first decision point – determining those programs, products, markets, segments, initiatives with the greatest potential for growth and ROI. Once the decision of which programs and service lines to grow has been made, you will then need to determine how time and budget dollars are allocated against the marketing mix. 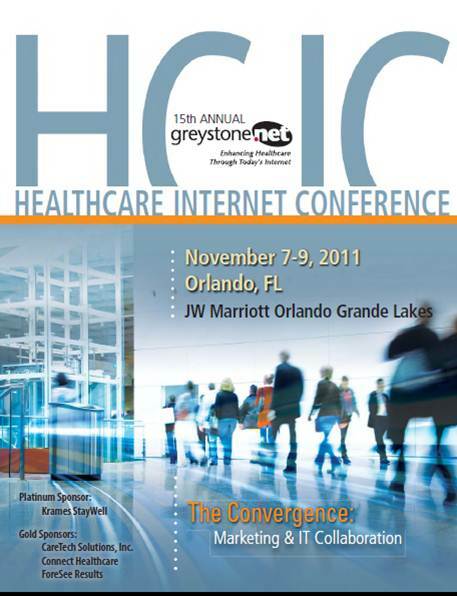 The 15th Annual Greystone.Net Healthcare Internet Conference will be held November 7 – 9, 2011 at the J.W. Marriott Orlando Grande Lakes. 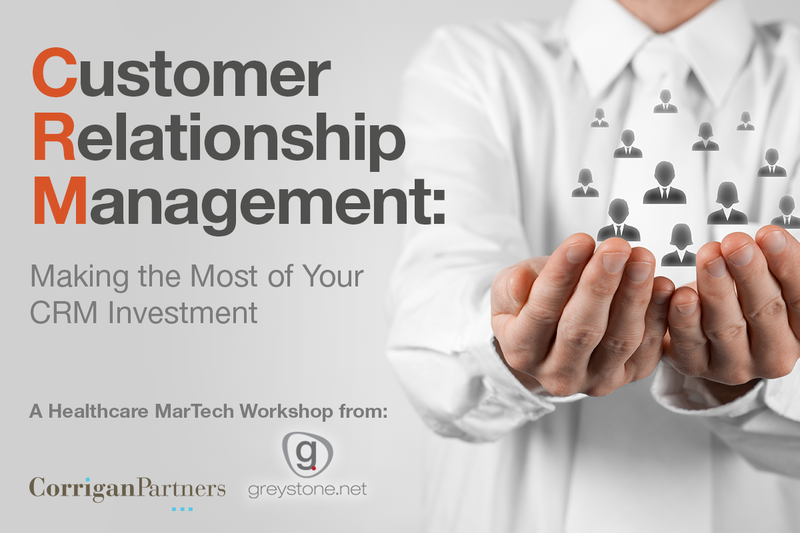 This year’s theme, The Convergence: Marketing and IT Collaboration – The Time is Now, is one of the reasons this annual Greystone.Net event has become a ‘must attend’ priority for me. With Convergence, Greystone.Net is introducing a new section focusing solely on the collaborative and innovative strategies and technologies transforming healthcare. The keynoters and featured presenters are topnotch experts in the realm of web, social and mobile trends, innovations and practical applications. I’m also excited for the opportunity to present with with Sentara Healthcare’s digital marketers, Lee Gwaltney and Jessica Carlson on the topic of “Digital Brandscaping: Extending Your Brand Across Web, Social and Mobile Sites.” We’ll be addressing the importance of a proactive, focused and purposeful approach to brand management across web, social and mobile sites as well as with patient and provider portals, and with clinical information systems such as electronic health records. Our session is scheduled for Monday, November 7 at 4:15 p.m. While there, drop by the Brains on Demand booth in the Exhibit Hall. We’ll be there with our Brains on Demand partners Brand =Experience, Klein & Partners and Eruptr. Can you believe it’s the 15th year for the Greystone.Net conference? It’s a terrific event that just gets better every year. Hope to see you there!